Private Equity Africa is a UK-based financial information provider that serves under-served global financial markets. The publication was established on the conviction that as global investors look to diversify risk and/or search for higher yield, niche markets such as the private equity space in Africa will become increasingly sought after. As investors seek to leverage such new areas, the need for industry-specific, timely, technical and well-researched information and interaction becomes increasingly important. 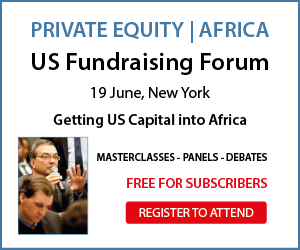 Private Equity Africa target is to provide an independent information and thought-sharing industry utility through magazines, databases and events. The ultimate goal is to offer intelligent research, benchmarking, and decision making tools to institutional and private investors, investment intermediaries, financial service providers, regulators, governments and corporations. 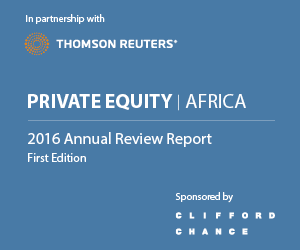 Private Equity Africa takes a completely neutral approach to media communication, delivering high-quality and timely information in channels best suited to individual industry participants.